This photo was taken in November 2006. I remember it because it was a day before I left for Boston to attend a career forum. We were studying OCMA together in Jamie's flat. 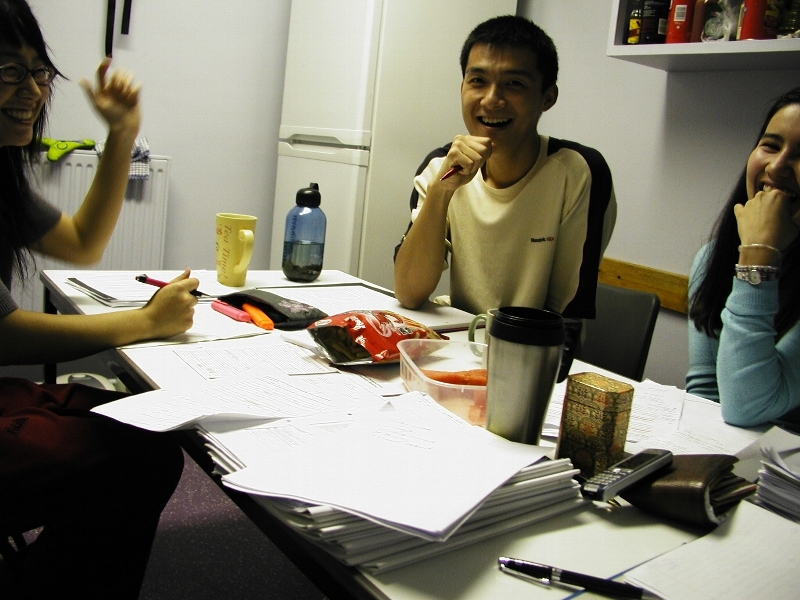 From left, Wenjia, Jia and Jamie.